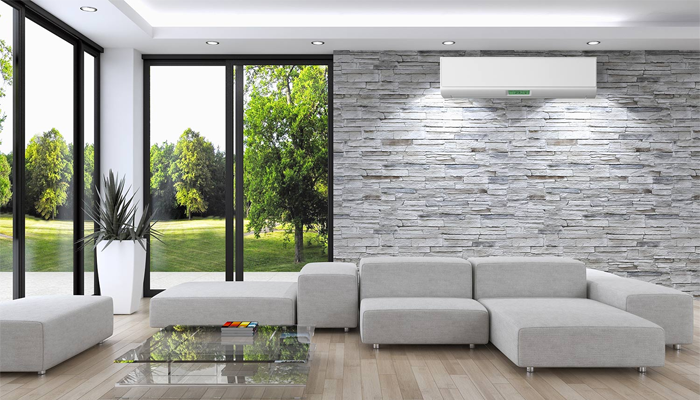 Ductless heating and cooling systems, unlike traditional heating and cooling systems, require no duct work to deliver heated or cooled air to your home, instead they deliver it directly into different zones in your home via wall or ceiling mounted air handlers. Ductless heating and cooling systems are a great replacement for old and inefficient baseboard electric heating systems or window air conditioners, which are robbing you of electricity. 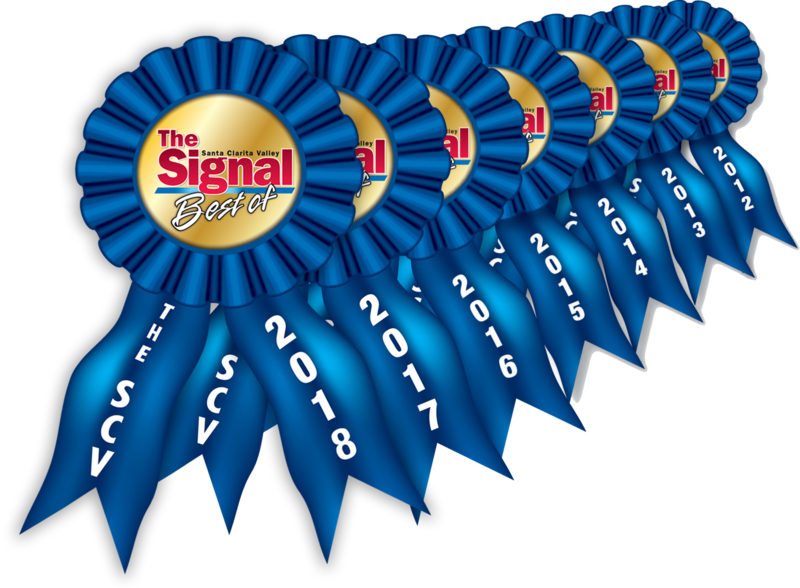 They are also an excellent choice for heating or cooling home additions as they are a fraction of the cost of installing duct work and upgrading your HVAC system to handle the additional square footage. Also we have installed a lot of ductless systems for people who convert their garages into offices, music studios, and home gyms. 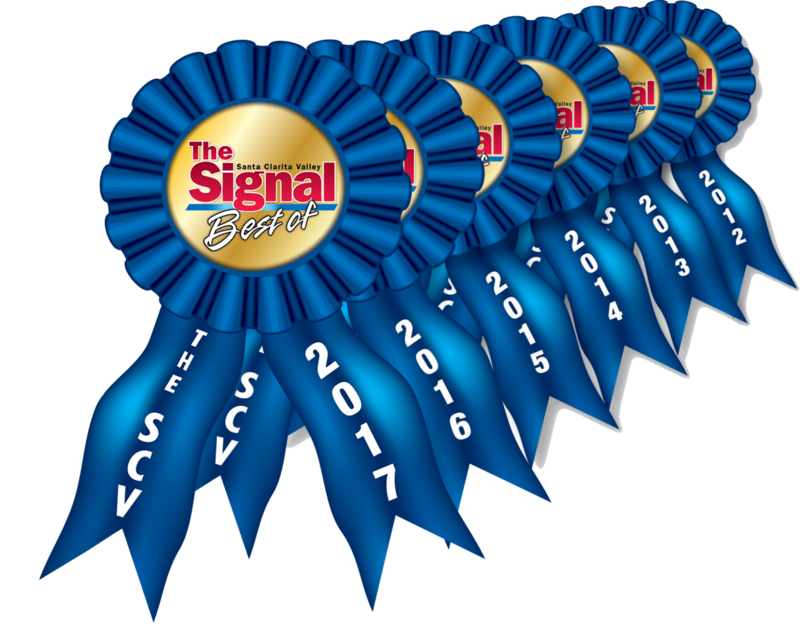 If you are looking to install an efficient heating and cooling system in the Santa Clarita and surrounding areas that we service, contact Nicholas Aire Systems. Our ductless heating and cooling technicians are fully trained and certified to install ductless systems. Ductless systems are reversible, two way electrical heating and cooling systems that transfers heat between outdoor and indoor areas. In cold months, a ductless heating system collects heat from the air outside and delivers it inside the home. In warm months, the process is reversed, the ductless cooling system collects heat from inside the home, and dumps it outside, and returns the conditioned air back into the home. What are the Advantages of Ductless Heating and Cooling? 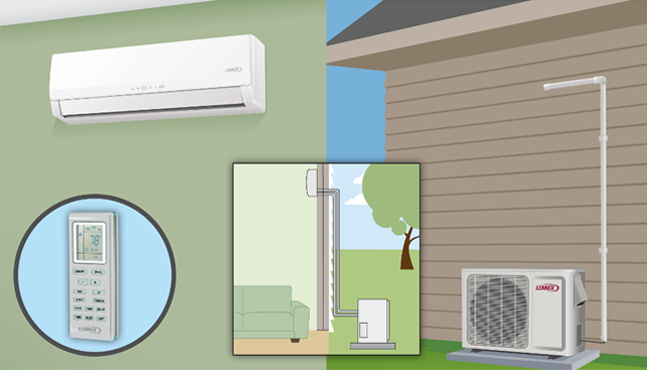 Ductless heating and cooling systems can be installed as multi-zoned systems. You can have one outdoor condensing unit matched up to 9 indoor air handler units. Ductless heating and cooling systems are very efficient. Since they only cool the rooms in your home you want, you don’t waste money heating and air conditioning the rooms you don’t use. 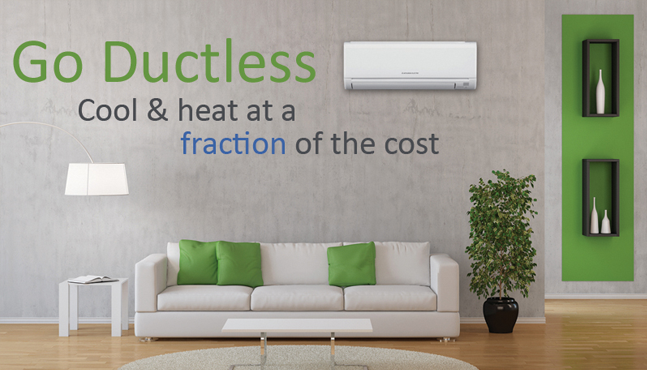 Ductless systems can heat and cool your home for a fraction of the cost of traditional heating and cooling systems. Ductless systems come standard with heating and cooling functions, allowing you to have year-round comfort from one piece of equipment. If you are interested in learning more about Ductless Mini-Split systems please contact us and our fully trained technicians can give you more information. It's not a motto, it's a commitment at Nicholas Aire Systems to have all of our customers more than satisfied with all the work performed by us. "Why Use the Rest, When You Can Use the Best..... We're Not Comfortable Till You Are"